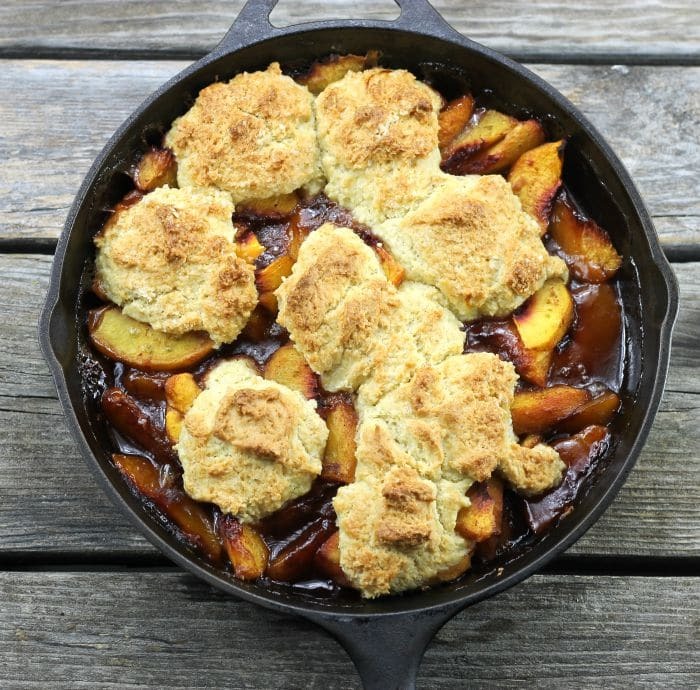 Cast Iron Skillet Peach Cobbler, made with fresh peaches topped with biscuit dough and made in a cast iron skillet, easy delicious dessert. Cream cheese peach muffins are one of those easy recipes that are great for a quick breakfast. 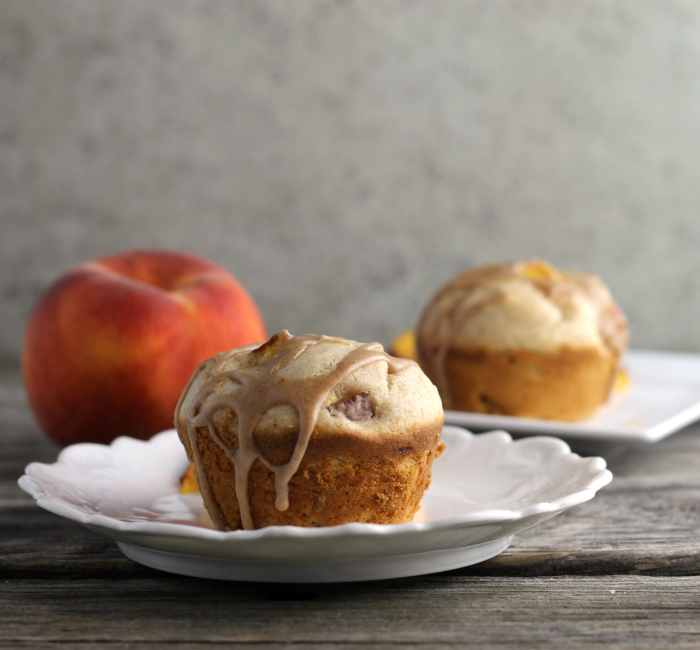 Cream cheese, peaches, and cinnamon make up these soft tender muffins. 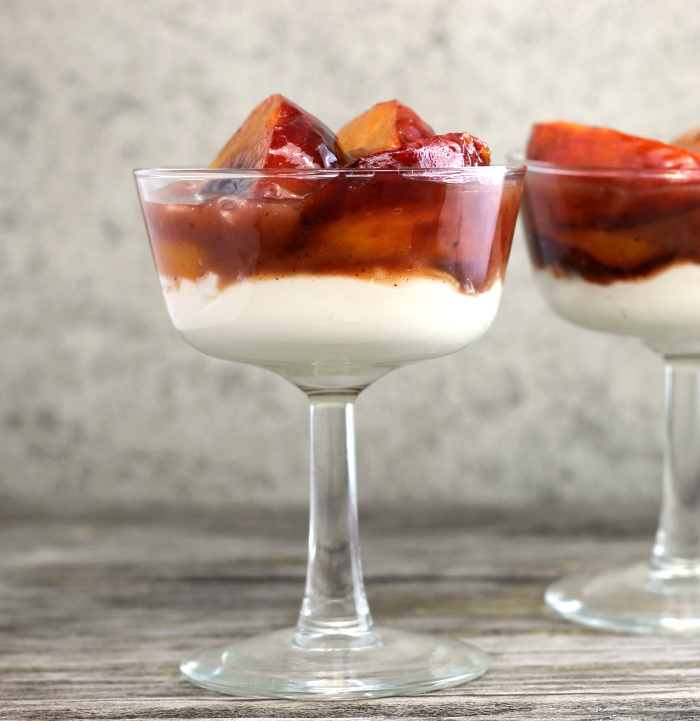 Peaches and cream cheese are brought together to make one heck of a delicious dessert in this peach cream cheese dessert. 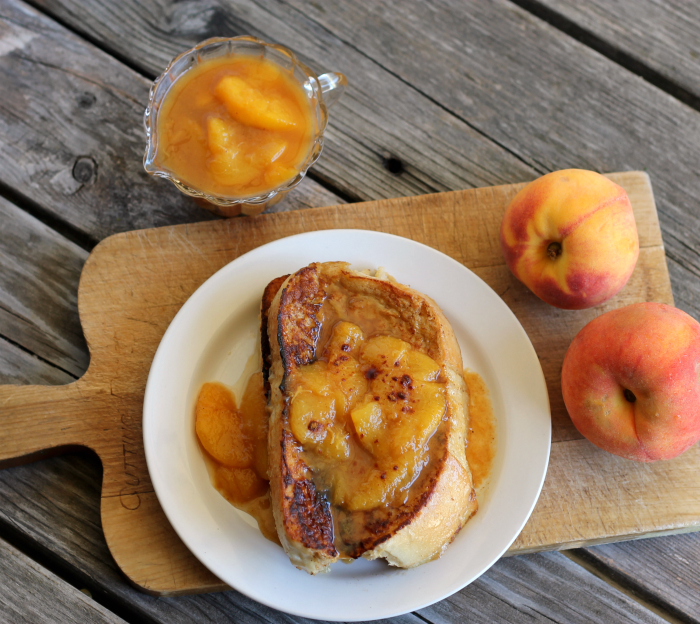 It’s peach season… spiced French toast with peach compote is a great way to celebrate the season.